The beauty industry is growing rapidly and styles are ever changing. That is why we love beauty so much! There is never one look or style, people can create and change the game and make new looks. 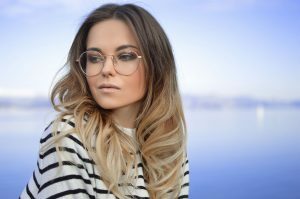 Whether it is the new trendy hairstyle, a gorgeous new makeup look that everyone wants to try, or nail art that everyone falls in love with, there is always something new in beauty. And now getting into the beauty industry has never been easier! At Designing Beauty Academy, we offer programs in cosmetology, esthetics, hairstyling, and nail techniques, allowing for our students to test the waters in many different beauty industries and learn the skills needed to pursue a beauty career. The thing that makes our beauty school different than others is that they offer flexible schedules to accommodate you. We know that you have a busy schedule, and being able to fit in your beauty classes can help you get through our programs faster and into a beauty career sooner! We also give you hands-on experience, by offering services for clients and a discounted price! Let’s take a quick look at some of the other things we have to offer! If you are interested in a career in beauty, you are in the right place. We offer four different beauty programs that will help you get the experience you need to be successful in the industry. Our programs can teach you the techniques and skills you need to know to make it in the beauty industry. Learn more about these programs and what they offer! We know that allowing a student near your hair may be nerve racking, but our students are well trained in many different areas of beauty. We provide all of the services you can find at other beauty salons, including hair, skin, and nails services! If you are looking for more affordable spa services with quality results, Designing Beauty Academy is the perfect place! Whether you are a client or want to join the beauty industry, feel free to contact us and learn more about our beauty school!